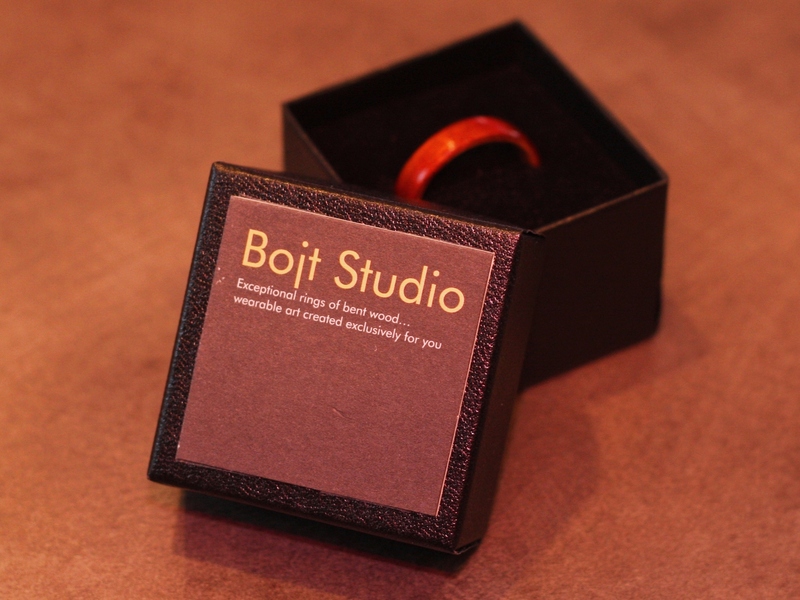 We are a studio of artisans, specializing in the Scandinavian tradition of bending wood. Our niche is fine art rings for people who appreciate unmatched craftsmanship and the subtle nuance of a natural material… everyday! 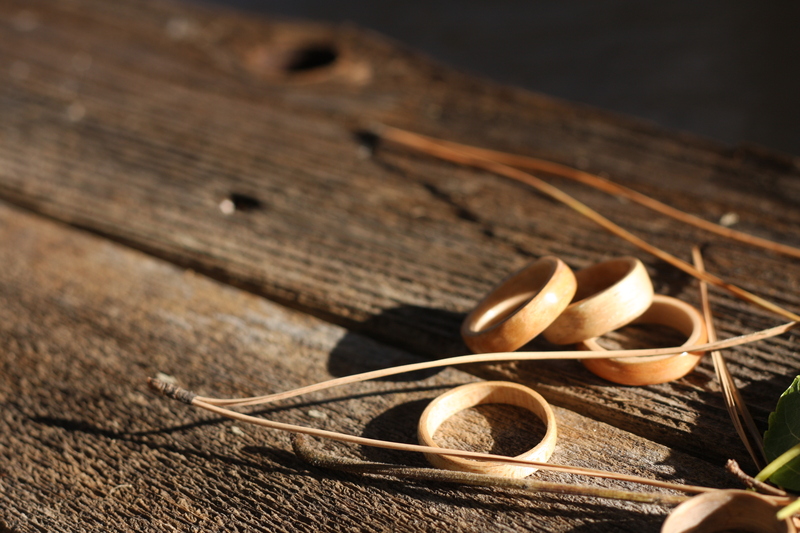 Our rings are handmade in the bentwood tradition. Each ring is unique and with proper care will last for generations. The natural oils of the wood are extracted and replaced with a polymer which preserves the wood, while greatly increasing its natural strength. 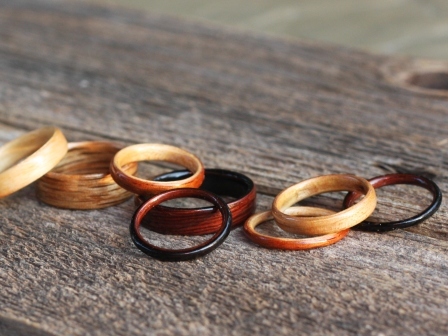 Each ring is then shaped by hand to reveal the unique beauty of the wood. Upon completion, each ring is hand polished and carefully inspected before it is sent to you. You will be pleased!